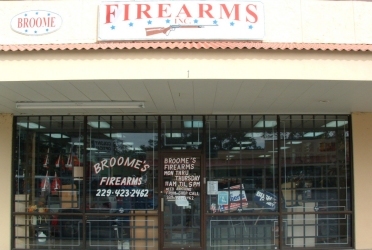 BroomeFirearms.com - Fine Firearms & Accessories - Over 1,000 Shotgun Barrels in Stock. Harvey has been in the gun business over 50 years, and in this location 30 years. We are no longer doing gun shows and are open 10-5 at the gun shop in Fitzgerald, GA, 20 mins. east of I-75 at MM 63 or 82. We thank everybody over the years for their business and friendship. We handle good used guns & collector guns as well as new Ruger, Smith & Wesson and Browning guns. Our basis is discontinued guns and shotgun barrels and a large inventory of discontinued gun parts. Search our inventory of Shotgun Barrels on BarrelExchange.com - Benelli, Beretta, Browning, Franchi, Ithaca, Marlin, Mossberg, Remington, Ruger, Savage, Smith & Wesson, Winchester & more. Over 1,000 barrels in stock.